I'm Ready for my Green Thumb! It finally happened. I've been waiting my whole life to have the urge to plant a garden, and I woke up this week with just that, haha. You see, a huge chunk of my family is very big into gardening! Flower gardens, vegetable gardens, fruit trees, you name it. I, however, was never very interested. Somehow though, I always figured that would change as I got older, and apparently I was right. It started by just liking the idea of a garden. Not enough to plant one, but just enough to see the practicality of it, and liking the idea of being self sufficient in at least one small way. I've been thinking that for several years now, but my husband was always in charge of taking care of whatever little plants we did have, and I could have cared less! This year though, I'm biting the bullet! We are actually in the process of selling our house in Oregon, and hoping to be able to buy a new home this spring. I think that living in a rental where we couldn't plant a vegetable garden, made me realize that I actually wanted to do it. Obviously, we may still be in a rental by the time I should be planting, but I have decided that I will do a container garden if I have to. Some of the things I'm looking forward to are onions, tomatoes, rhubarb, strawberries, and lettuce! We eat most of these things a lot, and it would be so awesome to be able to walk out into my own yard and pick the things I want to eat! And, like I said, while I never gardened, I know plenty of people who did. Usually they were willing to give me fresh produce in the summer, and you just cannot beat the taste of a garden fresh tomato! I also know that realistically, I probably won't get that green thumb over night. I am a terrible plant killer, but I have a lot of family to go to for my questions, and then there's the always awesome Pinterest! You can see my gardening board here. And here are a few of my favorite links and photos that I'm using for inspiration so far! 1. This reference chart has some great info for when to plant most of the things I want! /2. 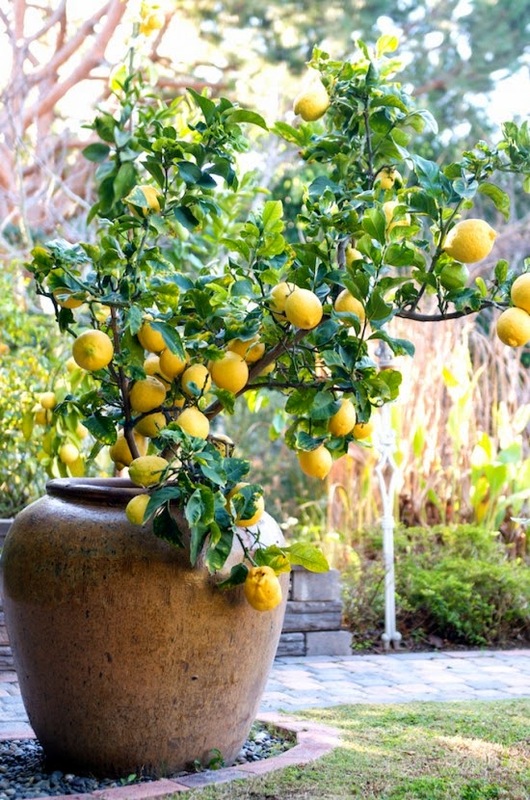 Dane and I both love lemons, and I love the idea of a potted tree that I can bring indoors during the colder months. /3. 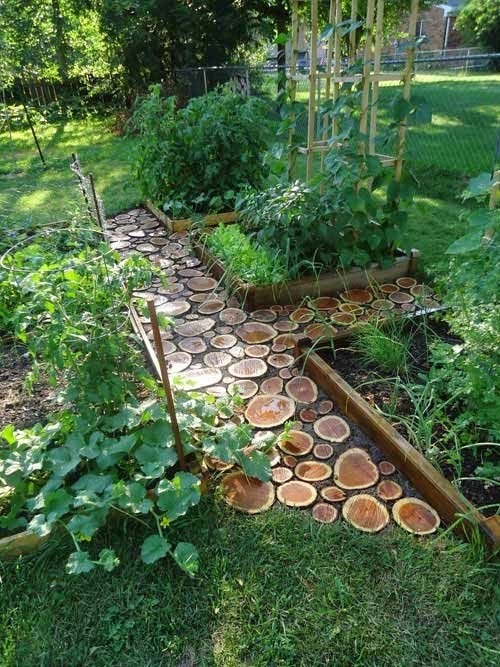 Pretty paths and raised beds are a must! /4. 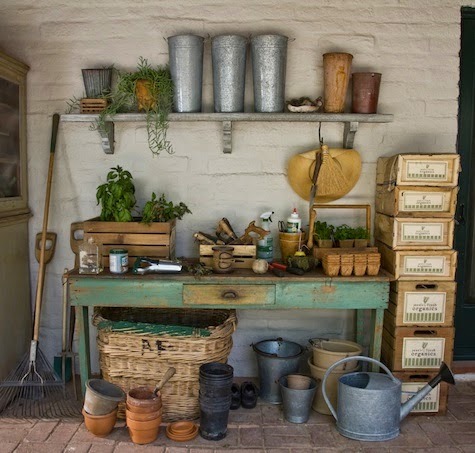 A super cute (and functional) potting station? Yes please! This page has tons of them! /5. 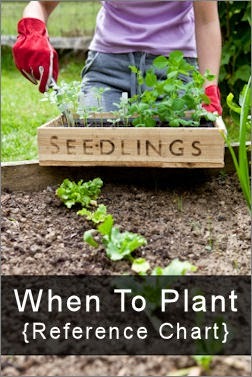 (Not pictured) Here's a great video on growing a garden in small spaces. Let me know, I'd love to hear about it! Now, I'm off to go work on another project that I will (hopefully) be sharing here soon. Happy hump day everyone! Valentine Cards for Your Valentine! My new Valentine cards are up in the shop tonight! A day later than I planned, but hey, better late than never right? And more importantly, still in time for you to order and make sure they're delivered in time! Here are the new designs I listed today. Plus, from now until Valentine's Day (one whole month away!) you can get free shipping with any order. Just use the code FREESHIPVALENTINE15 at checkout! I've been thinking a lot lately about goals, both personally and for Brightly Done. I don't usually make new year "resolutions," but I do like to use this time of year as a way to step off on the right foot. Most of the goals I have are consistent ones, that I have all the time, but it seemed like a good idea to reevaluate and share them all here! I have been a yo-yo dieter for as long as I have been married. I have lost the same 10-20 pounds, and gained them all back, several times over the last six and a half years! I know this is so terrible for my health, but the good news is that I have gained so many good habits over those years that have stuck. I just know one of these times (hopefully the next time!) that the weight will stay off for good! Luckily, on of my little sisters just got engaged! And we all know what great weight loss motivation it is to be a bridesmaid in a wedding. I have 15-20 pounds to lose, and with a five pound a month goal, so far I'm on the right track. I never have been known for being organized, but since moving to Idaho and downsizing in living space, I've had to adapt a little. I have had a much easier time keeping up on organization, because we don't have a lot of extra room for me to just stash stuff and "get to it later." I want to keep working on that (because there's still a lot of room for improvement) and maintain my home better in a way that will be more relaxing for both me and Dane! I have found that breaking things down into small daily tasks, and writing them in my planner keeps me more on track. Next September will be our seven year wedding anniversary, and I've decided we need a vacation! Not that we don't take vacations, but we haven't gone away for our anniversary in years. I have made it a priority to work a few extra days this spring to save up for our trip, so we don't have to worry about fitting it into the regular budget. We are planning a trip to Seaside, OR, which is where we went on our first date and spent a week getting to know each other at the beginning of our relationship. I have wanted to make a trip back ever since, but so far it hasn't worked out. This summer it will be eight years since we've been together! Can I get a cray-cray?! First of all, I will be bringing more content to my blog! I'm so haphazard with my posting, and that's not good. 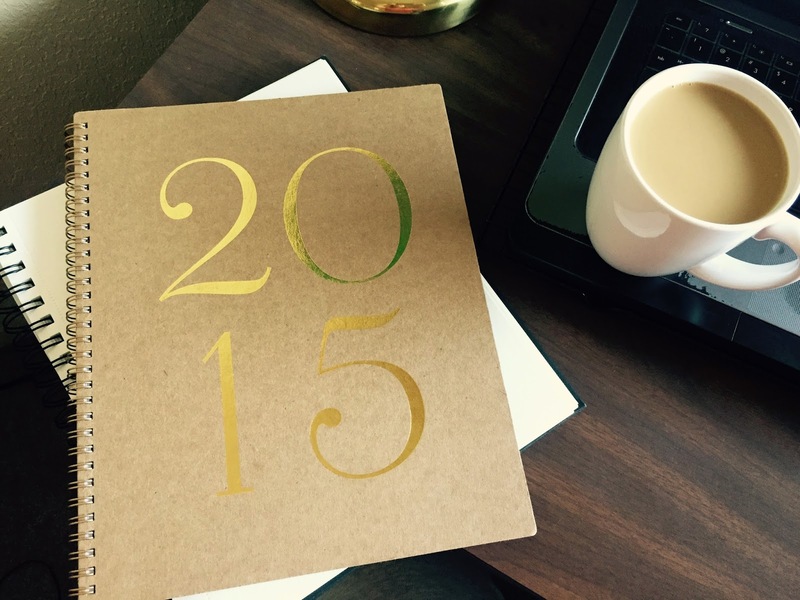 I will be taking more of a planning, organized approach to my blogging, and I feel like that will help a lot. I'm working on new ideas for posts, and might start doing some weekly themed posts soon. I also want to share more in the way of freebies and giveaways, as a way to put myself out there and get people interested in what I'm doing. For my business, this is going to be a year of exploration. I have so much to learn still about design, and I hope to gain a lot of valuable information in the coming months. I know I have improved so much since I started, but I also know that there are a lot of ways I'm lacking. I really want to focus on honing my craft this year, big time! Since I started this business, I have found myself drawn towards several different mediums, and that may not be a great thing. Instead of focusing specifically on one thing (hand lettering) I have spread myself out a bit (calligraphy, water colors). This may not be a terrible thing either, I'm just saying I feel like I need to reign myself in a bit. With that being said, first I will be trying out some different things very soon. I plan on having a lot of new listings this spring, of various different products. I have loads of ideas, and some of them aren't necessarily very cohesive. I want to expand my shop though, and find out what sells and what doesn't, and where I want my niche to be. I love greeting cards, but I'm also drawn to stationary and invitations. Do I want to print and sell physical products, or do I want to go the more modern printable route? Should I stick to art prints and cards, or are announcements and invites more my thing? Plus there are tons of other ways I could apply my lettering! What I'm trying to say is that you can expect to see a lot of things from me in the near future, but eventually I will start being more specific in the kinds of things I create. I haven't made a sale on Etsy yet, but I'm not too disappointed. I know these things take time, and I feel like with a little more inventory, and a little more marketing, things will start moving. I have done plenty of personal projects though, with more in the works, so I keep myself busy. I am still creating, and still enjoying it so much! The big goal, whether it happens this year, or further down the line, is to be able to run my blog and business full time instead of having to work outside the home. Hopefully I get to see some good progress on that front in the coming months. Phew, what a novel! Kudos to you if you made it all the way through. Now this is one thing off my daily to-do list, I should get to tackling the rest! Santa Cruz palm trees on the board walk, photo and lettering by yours truly. There will probably be some time spent day dreaming as well, because as my photo suggests, I'm starting to dream of summer! Normally, I'm not a summer person. I love fall and winter and all things cozy, but with my tendency for being discontent, I always start missing that warm weather right about now. Sunshine, swimming, eating outdoors, and vacations have been on my brain the past couple days! So, I decided that I will give myself a couple days of wishing for that balmy summer weather, and that's it. I know that it will be here soon enough, regardless of my pining, and knowing myself like I do, I will probably complain about the heat when it's here! I'm still not quite over the snow (because I love snow! ), and I still feel like I could be happy in hibernation mode. Lounge wear and wool socks, and lots and lots of Netflix still sound pretty nice to me! So, I'm going to try to be happy in this winter season, and enjoy it for the things it has to offer. Also, Valentine's day is coming up, and I do enjoy that holiday! I'm excited to be working on some card options for the shop, and I should have them listed by the end of the week. Keep an eye out for those! How are you feeling these days? Am I the only one starting the get the winter blues? If so, hopefully it's not too bad! Thanks for stopping by, and happy hump day! I don't know about you, but that holiday season was a doozy! It was fun and all, but quite a bit more stress than I wanted to deal with. Normally I don't get so stressed about Christmas presents and such, but this year I got this wild hair and decided that I was going to make all of my gifts instead of just buying them. Basically, it just meant that I had way more on my plate than anticipated, and that made other creative areas suffer, like this blog. I had intended on doing a write up of my gifts before Christmas, but I never had the time to! I didn't even get any good photos taken. So instead, here's a list of links to some of the gifts I made, and a couple bad phone photos to go along! For my sisters I made some yummy little solid perfumes using this tutorial from A Beautiful Mess. I loved how they turned out, but working for an hour with strong essential oils (and then spilling some on myself) meant that I got tired of the smell pretty quickly! 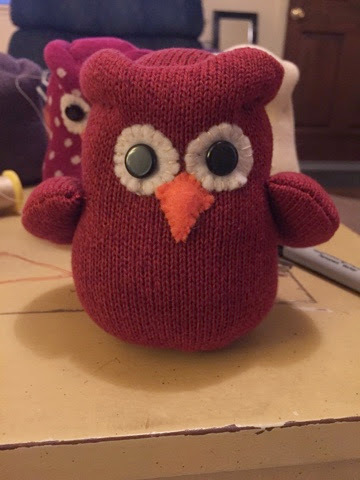 One of my sisters and all of my nieces got these adorable little sock owls! They were probably the most work of all my gifts, but they were still my favorite. 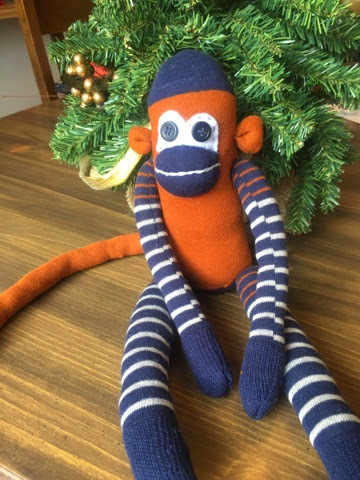 I also made my honorary nephew a sock monkey from the same website! My actual nephew is at that difficult age in between child and teenager, and that makes gift buying so hard! I saw this travel sign on pinterest, and made my own version using cardboard letters from Joanne's and a vintage looking map from target. It worked pretty well, and it goes with the globe he got a couple months ago for his birthday. Then I made a coffee sugar scrub, based on this recipe for my mom, m-i-l, and s-i-l. I just left out the orange essential oils, and used a combination of grape seed and coconut oils. Everything else I made was of my own design, like some calligraphy prints for the ones who got the sugar scrub, and knitted headband/ear warmers for my sisters. And the only photos I took were of the little sock critters, so please excuse the bad lighting. They weren't intended for this use, haha! for both Thanksgiving and Christmas, it seemed like everything suffered, and nothing got enough attention from me. How did your holiday season go? Did everything go smoothly, or did you have to sleep for a week after just to bounce back, like me?